I don’t know about you but it’s not often that I try three products from a collection and not only like them, but love all of them! This is exactly what happened when I tried Crabtree & Evelyn’s NEW La Source collection. 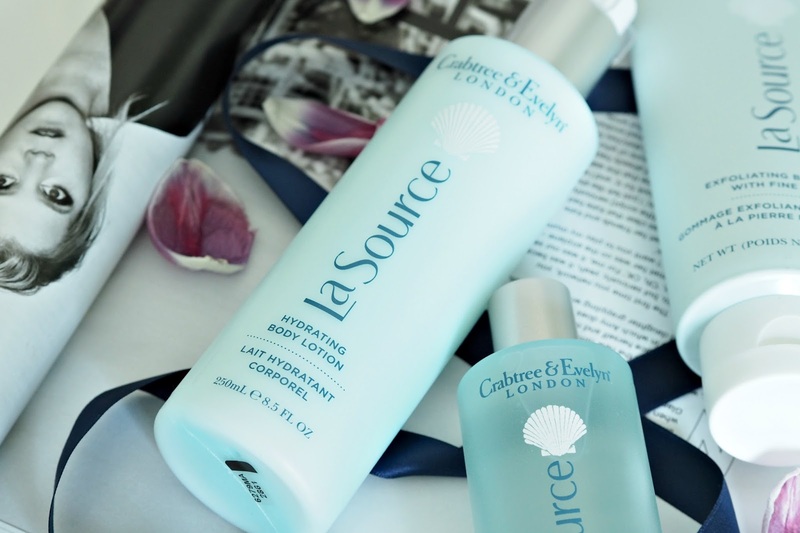 The La Source collection is inspired by the power of the sea and contains a wealth of marine goodness for your skin, hair and body. 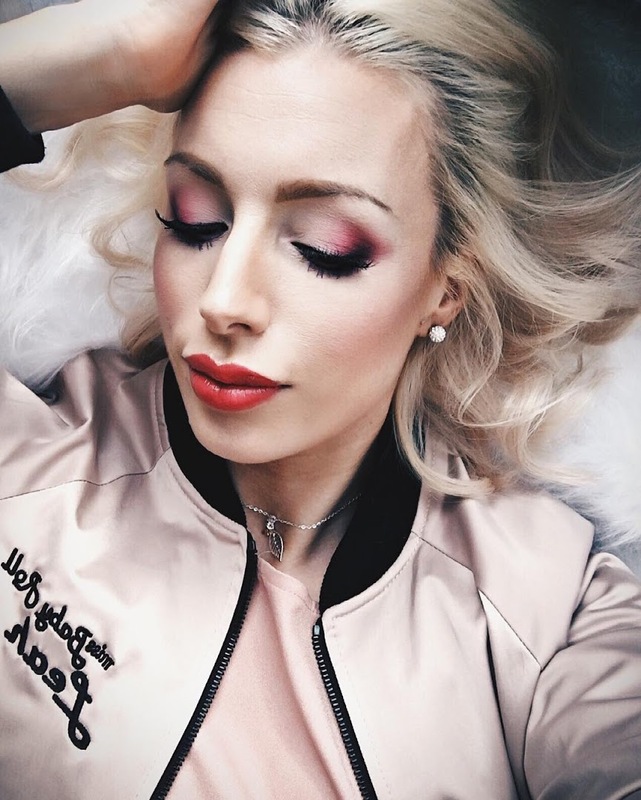 I’ve been trying out three products from the range but you can see the full collection here. I’ve expressed my love for oils a lot on my blog so it probably comes as no surprise that I’m featuring another one….. 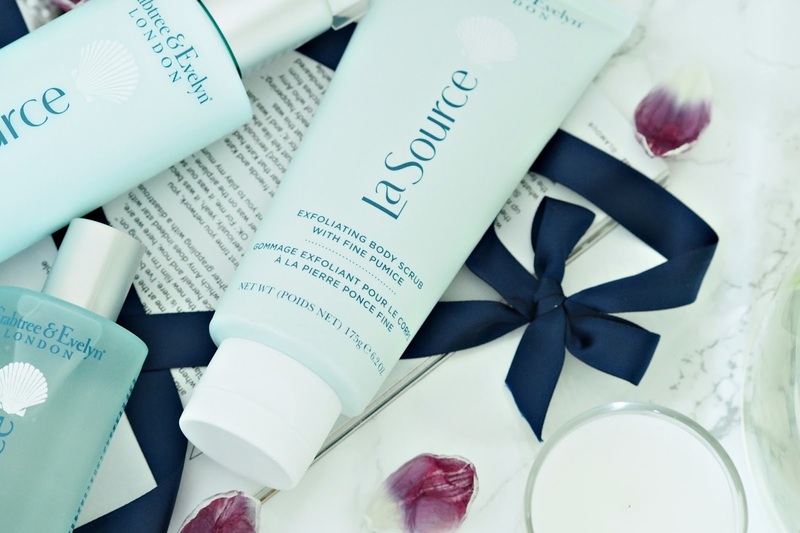 The Crabtree & Evelyn La Source Hydra Marine Nourishing oil smells divine and is extremely light. The oil is applied via a spray so application is very easy – I much prefer spray application for oils over ones you pour out. I spritz it over my body and then rub in. It’s leaves a wonderful refreshing smell, my skin is moisturised, and as it’s a dry oil it soaks in quickly and is non greasy so I can get dressed straight away. Perfect. I love this product so much that it’s now used everyday in my morning routine. LOVE it. I’ve always preferred lotions over creams as I don’t like anything that’s too thick as they take ages to soak in and I think can feel a bit sticky. 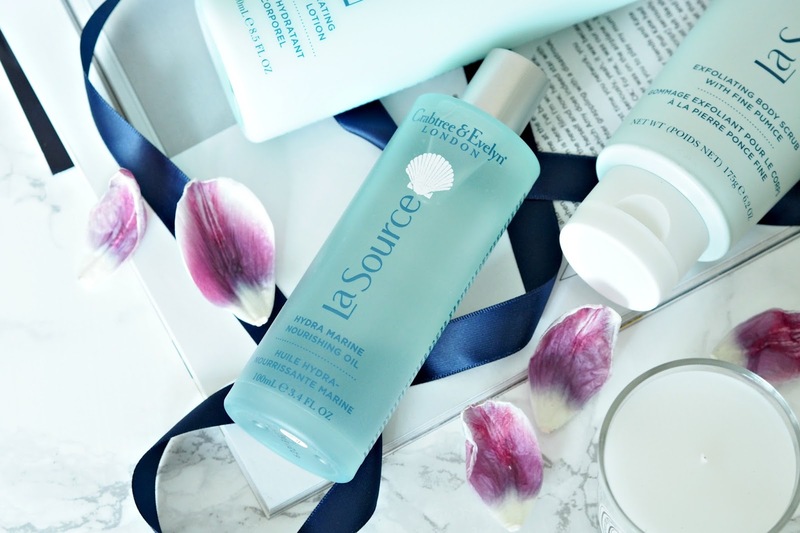 The Crabtree & Evelyn La Source Hydrating Body Lotion has the perfect consistency for me – it’s light, soaks in quickly, and as it contains shea butter it’s also very nourishing and hydrating to my skin. It smells gorgeous – very fresh and gives you all the luxurious feels when you apply it. As a fake tan addict I regularly exfoliate and before I tan I like to have a really good Scrub. It’s imperative to get every last inch of the reminding bits of tan off and ensure any dead cells are removed. The Crabtree & Evelyn La Source Exfoliating Body Scrub does just that. It has tiny fine pumice and sunflower wax beads in it which ensures a lovely smooth finish once you step out the shower. Again, like all the products in this range the smell is amazing. It leaves your skin feeling all nice and tingly – Kinda like you’ve used something with menthol in. The only downside to the product is the size. I would say for me it only does about 4 applications – that is covering every inch of your body, so if you are a regular scrubber like me (haha) then it won’t last that long. I’ve loved using this collection and am now eager to try more. They would make a beautiful gift or be perfect when you want to indulge in some luxury pamper time. 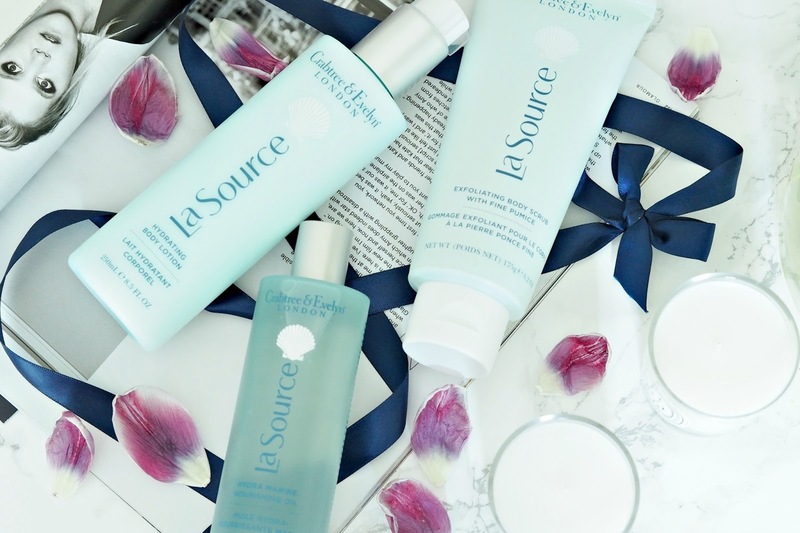 Have you tried any of the Crabtree & Evelyn La Source Collection?